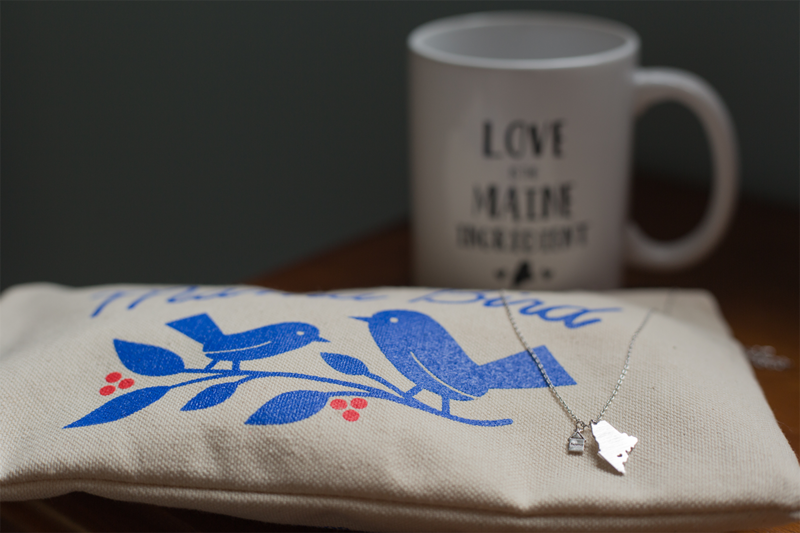 We are always on the lookout for great local shops to help support our community, and we were so pleased to recently discover Rustic Arrow just across the street from the L.L. Bean Flagship store in Freeport! We love this free-spirited contemporary boutique and were all the more tickled by them when we discovered that they support emerging female designers and artists. 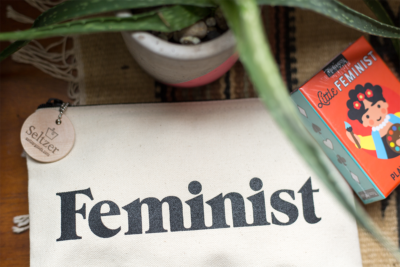 They currently carry 80% female and fair trade brands, and are really focusing on companies who give back to their communities. Co-owners, Natalya and Sarah run the shop and their goal is to create a fun environment, introduce new trends, and help emerging brands grow. Amid all of those good vibes, they have curated a lovely selection of on trend pieces at really accessible price points. 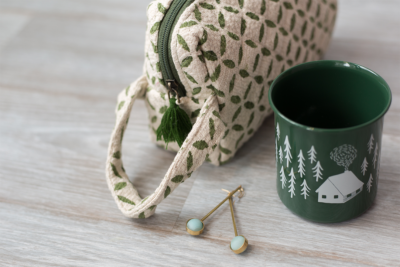 They have also interspersed thoughtful and relevant gifting options such as unique baby shower gifts, terrariums, jewelry, bags, books, and cups to name a few. The first item I gravitated towards upon entering the shop were these gorgeously soft and drapey pants. I love the color and have been looking for a pair of pants that I can just throw on and go amidst all of my upcoming summer adventures. These are easy breezy and with a light cuff they hold up well to my sneakers and would also pair well with sandals, a pump to dress them up, or a wedge. We did struggle a bit with static electricity, but I’m *hoping* that had more to do with the dry winter air, and that the problem will resolve amid the summer humidity. When clinging to my body in awkward ways due to the static, they were not flattering, so we sized up to the large. If the static stays at bay, they really are a delightful addition. We paired them with a simple mocha tank and a jean jacket, but you could easily make this terracotta shine with a white sleeveless blouse such as this, or you could get a little playful and throw in some patterns with something along these lines. There were any number of fun and affordable dresses to choose from (are you ready for mother’s day brunch?! 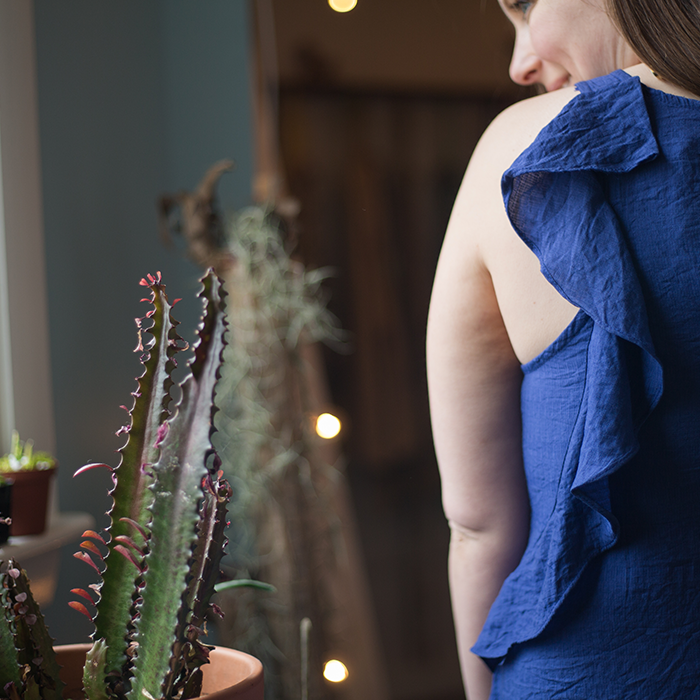 I’m not…) but we gravitated towards this blue ruffle number because the blue compliments my eyes well, the shape isn’t fussy, the frills are fun, and it has pockets (yes, please!). I found the fit to be very true to size; there was enough space for my ample bosom but not too much space across my hips, and the length was youthful but still appropriate (at least, for my petite frame!) 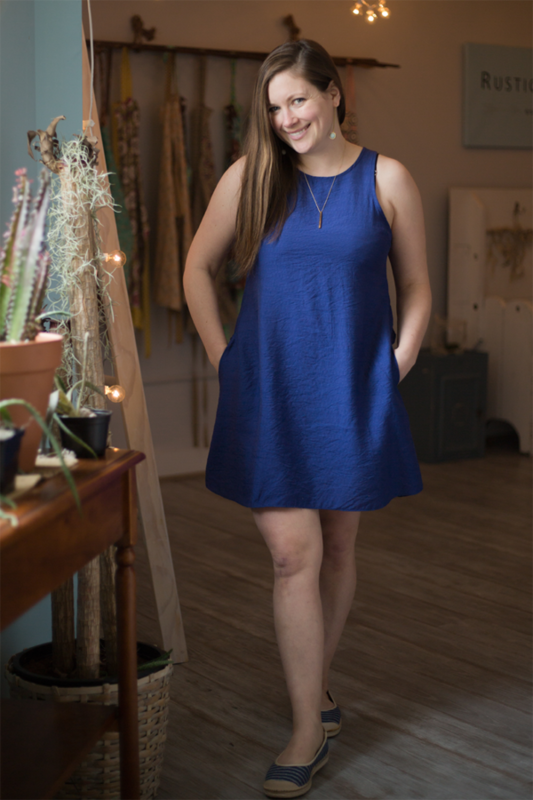 I feel this simple but versatile dress could take me from a day shopping and lunching with friends (should I EVER have the time to do such a luxurious activity this summer…) to graduation parties and summer BBQ’s with a simple change of accessories. I think this outfit is by far our most classic choice, and definitely the most versatile of the bunch. How can you beat a classic white linen top and jeans? These Hammer jeans are a great example of a cropped bootleg option with a distressed hem, despite the fact they look like a full length pant on me (please bear in mind I am 5’ 0.5” tall). The blouse definitely runs small, I needed the large to accommodate my bust, and as a result the length turns into more of a tunic option on me. You may have noticed Hammer denim runs in odd sizes rather than even. This would have been “juniors” sizing at a department store when I was growing up, but with the high waist and on trend cut, we found them age-less. I’m typically an 8P and the 9 fit perfectly, so I would say they run a bit small. This combination offers an updated take on a classic pairing to help freshen your wardrobe. All in all we are so pleased to have found Rustic Arrow and cannot wait to see what else they they have to offer as the seasons turn!